Replicant is a delay-based effect in the "beat slicer/looper" vein, with some tricks of its own that separate it from the herd. From a simple delay or panning effect, on up to massive random beat mangling, Replicant is a capable plugin well in line with today's modern electronic music styles. Stuttering buffers and filter drops are easy to program, and the comprehensive randomization features give it a mind of its own, if so desired. If you're looking to add some chance to your programming, you've come to the right place. - Tempo-based delay and looping effects, from 1/128th note to an entire measure. - Six independant randomization controls, for subtle changes or extreme aleatoric madness, including a global randomize button. - Our unique "Hold" feature, to store a random sequence you like. - Resonant low-pass and high-pass filters that change over time. - Pan position that changes over time. - Two separate direction modes, for entire events or individual repeats, with randomization. - MIDI Note Triggering of loop events for live playing of effects. - Full MIDI Learn for hardware control of every parameter. Replicant v1.6.3 is now available for download for all owners. Changes in this version: 1. Graphics updated, more legible fonts. 2. Automation problem in AudioUnit fixed. 3. Presets bug in Live AudioUnits version addressed. 4. DRM removed from installer and plug-in. This is a recommended update for all users. This is a maintenance release for Replicant on the OS X side of things. The 1.6.2 installer fixes several bugs with the AudioUnit, chiefly that presets were occasionally going missing when updating or installing. We have also returned the Mono and Mono->Stereo versions of the plug-in to the package. This is a recommended update for all AudioUnits users, and is now available in the store for immediate download. We have updated the installer for Replicant on the OS X side to deal with an incompatibility with OS X 10.7. The plug-ins themselves are unchanged, as is the Windows version. This is only for new installations of Replicant 1.5 in OS X Lion. We have made the version 1.6.0 installer available to existing Replicant customers. 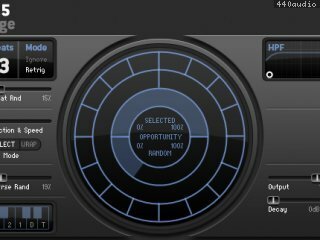 This update includes both 32-bit and 64-bit versions of both the VST and AU of Replicant. If you do not use a 64-bit host, there is no reason to do this update at this time.